Lucie Blackman - tall, blond, twenty-one years old - stepped out into the vastness of Tokyo in the summer of 2000, and disappeared forever. The following winter, her dismembered remains were found buried in a seaside cave. The result is a book at once thrilling and revelatory, "In Cold Blood for our times (Chris Cleave, author of Incendiary and Little Bee). Writing: Thorough, informative and accessible. 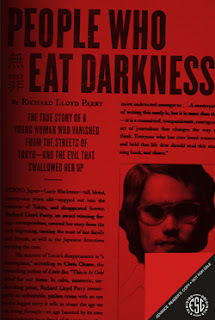 People Who Eat Darkness: The True Story of a Young Woman Who Vanished From the Streets of Tokyo - And the Evil That Swallowed Her Up is one of the best true crime books I've read in ages!! I seriously could not put it down - as much as it creeped me out, I had to keep reading. Parry has written a comprehensive book about the disappearance of twenty-one year old, Lucie Blackman, a Brit living in Tokyo and working as a hostess at a local nightclub. 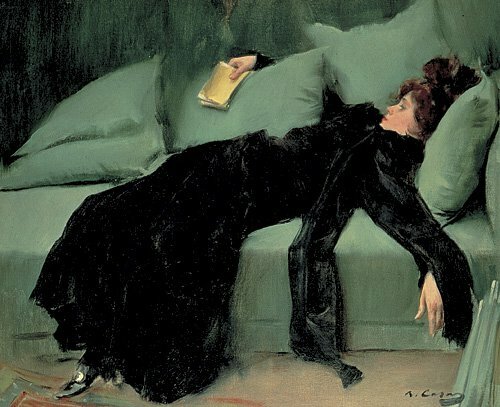 One day Lucie tells her best friend, Louise, that she is going on a date (and when I write 'date', I mean dinner with a client from the nightclub), but will definitely be back in time so that the two of them can go out and paint the town red. However, Lucie never comes home and a few days later Louise files a missing person's report with the Tokyo police. An investigation ensues and seven months later, Lucie's body is discovered buried in a cave by the seaside. Joji Obara, the man responsible for Lucie's death is caught and arrested and found guilty of Lucie's disappearance (along with a number of other horrible crimes). This is the true story of what happened to Lucie Blackman and how her killer was eventually caught. As a reporter following the Lucie Blackman case, Richard Lloyd Parry, was privy to interviews with friends and family of Lucie. He read through police reports, court documents and even corresponded with Obara via his attorneys. 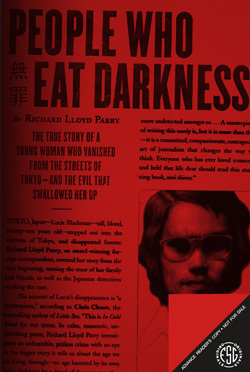 Parry was thorough in his research for this book and has successfully provided us with an in-depth look at Japan's flesh trade industry (which includes hostessing); biographies of Lucie Blackman and Joji Obara; a chronological timeline of events; and detailed information about the complexities of Tokyo's legal system. This is a book that not only reveals what happened, but also explains why the investigation took so long or how the Blackman family fared after the devastating loss of their daughter. And I must say that the writing is so engaging, you easily forget that you are reading a nonfiction book - which admittedly does make it a bit jarring at times, like when you read about the gruesome details surrounding Lucie's death or when you read about Parry discovering that he was being followed. At the same time, you do realize that perhaps a part of you wants to believe you are reading a novel, because the tragic death of Lucie Blackman is a reality that is scary, sad and just plain awful. Simply put, this is a compelling and unputdownable read, that will haunt you for days afterward. I know I won't be forgetting about Lucie Blackman anytime soon. I most definitely recommend this book to all true crime story enthusiasts - you will not be disappointed! *Thank you to FSG (Farrar, Straus & Giroux) for providing me with a copy of this book! There are so many young women who go missing these days. There is a girl right now who is missing overseas. I can't imagine how hard it must be for the families when something like this happens. It's one thing to lose them, but another to have to orchestrate a search from a different country. Ti, I know what you mean. This is sadly a story that is much too common and the fact that it happened in a foreign country only made searching for her even more difficult. This was definitely a riveting read and one that still haunts me. Such a good book! This is scary and worrisome. I have two young women for daughters, and stuff like this scares the crap out of me! Brenda, it is! I have a younger sis in her early twenties and when I read things like this it freaks me out! I'm going to read this book for the title alone.